It’s a fair statement to say that no American filmmaker has made a greater contribution to the realm of surrealism as David Lynch. His debut film, Eraserhead, still stands as a benchmark in surrealist horror, and Lynch would go on to define surrealism in film through his later works Blue Velvet, Twin Peaks, Lost Highway, Mulholland Drive and Inland Empire. 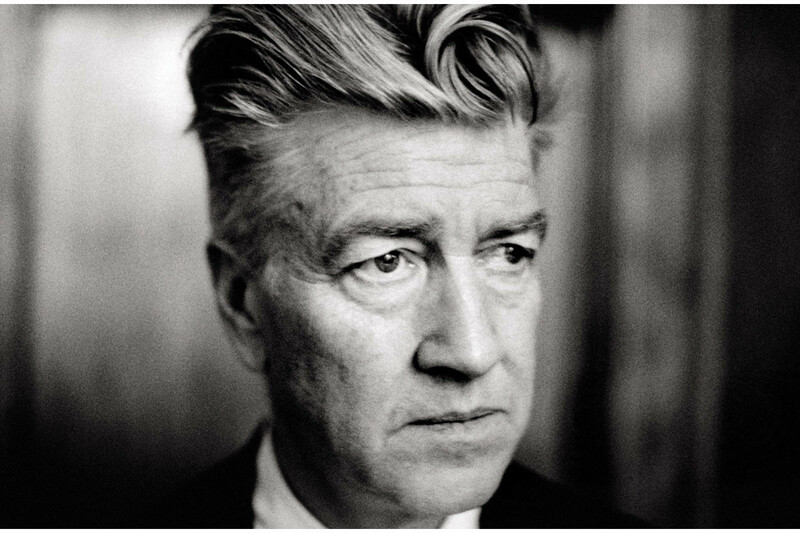 But what gives Lynch’s strange masterworks their life and longevity is his keen artistic eye, his fascination with the light and dark of American life and his brilliant command of character and melodrama. It’s a powerful and heady brew, one that has earned David Lynch a legion of devoted fans and earned him a place as one of the greatest filmmakers in history. Born in Missoula Montana to the son of a Department of Agriculture scientist, Lynch’s early, idyllic life is clearly reflected in his work; his Eagle Scout sensibility can be felt in comically upright characters like Twin Peaks’ Agent Dale Cooper (Kyle MacLachlan), and his fascination with the darkness lurking behind the pleasant veneer of post-war American suburbia is crystalized perfectly in what is arguably his highest watermark, the 1986 film Blue Velvet. Following the artistic yen, Lynch attended college at Philadelphia’s Pennsylvania Academy of Fine arts to study painting, later transitioning into filmmaking. After marrying and becoming a father he relocated his new family to Los Angeles, where he furthered his education at the AFI Conservatory and made Eraserhead, a process that took over five years to complete. But the struggle was worth it; the film became a smash hit on the midnight movie circuit and landed Lynch his first Hollywood directing gig, a biopic about the famously deformed sideshow attraction John Merrick, aka The Elephant Man. The film proved a success, which landed Lynch the director’s chair for Dino DeLaurentis’ long gestating science fiction epic Dune. While the film – thanks mostly to gonzo detours into Lynchian surrealism – has gained a cult following, it did not catch fire at the box office or with 80s audiences, who were expecting something less cerebral and closer to Star Wars. Backing away from the Hollywood big budget machine, Lynch returned to cinemas a few years later with the seminal Blue Velvet, a film that would bring him back into critical favor and set the tone for the rest of his career. Twin Peaks would follow, its pilot episode directed by Lynch (and released theatrically in Europe), and the cult of David Lynch was truly born. Audiences tuned into the celebrated first season in huge numbers, and for a brief moment Lynch’s oddball sensibilities seemed to break into the mainstream. Using this momentum, Lynch found it easy to finance and market his next film, the unconventional love story/road movie Wild At Heart, which was met with further acclaim and helped to catapult Nicolas Cage into superstardom. But rather than push himself further into the mainstream, David Lynch doubled down on his unique filmmaking voice, a road that led to less commercial success but cemented Lynch as an artist. Twin Peaks: Fire Walk With Me came a bit late to capitalize on the Twin Peaks phenomena but has gained a reputation as one of Lynch’s most challenging films, a terrifying exploration of the corrosion at the heart of a seemingly typical American family. Undeterred by the film’s lukewarm reception, Lynch went further into darkness with Lost Highway, turning his warped lens on the fractured nightmare of his adopted home, Hollywood. After a brief segue with 1999’s The Straight Story, a sentimental film about a man who travels great distances in a tractor, Lynch expanded on Lost Highway to great acclaim with his dream-logic magnum opus, the LA noir Mulholland Drive. After Mulholland Drive came Inland Empire, a sprawling, surreal mystery shot on video that eschewed formal narrative and stands as his most uncompromising work to date. Since then Lynch has been involved in web series’ and animated projects, as well as made memorable appearances in places like Louis CK’s Lynch-inspired FX series Louie. Now, in 2017, audiences eagerly await his return to television with Showtime’s revamping of Twin Peaks, a show that has only grown in esteem over the years. One thing is for certain; when it comes to David Lynch one must expect the unexpected, and we wouldn’t have it any other way.